If you would like to enjoy Valentines day movie and Champagne that's event for you! 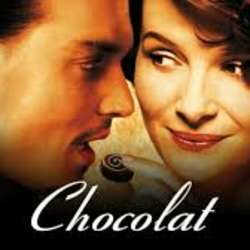 Chocolat tells the story of when a single mother and her six-year-old daughter move to rural France and open a chocolate shop - with Sunday hours - across the street from the local church, they are met with some skepticism. But as soon as they coax the townspeople into enjoying their delicious products, they are warmly welcomed. This is an evening to fall in love with our beautiful, Protected content . Your ticket will include your admission, a sweet treat and a glass of bubbly! This is date night. This is "Galentine's". This is your night to enjoy! Early arrival is recommended and encouraged. Feel free to join as for any part of the event. You are also welcome if you like movies, you are not single but still would like to attend, or if you would like to join with your Valentines date.